Once upon a time, it seemed that practically every neighborhood included a corner store, a cop walking a beat… and a barbershop. 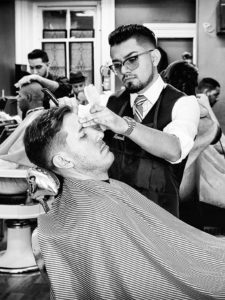 Unisex salons, the rise of haircutting chains (such as Style America and the formerly Lehigh Valley-based Holiday Hair), and even changing trends in grooming have helped squeeze out many of the old shops. But, much like drive-in movie theaters, old-fashioned “tonsorial parlors” are still around. What’s kept them going for so long? Joe D’Ambrosio, owner of Joe’s barber shop in Easton, has been in the business for over 50 years. 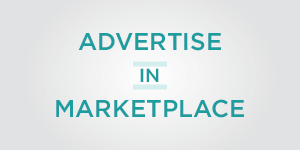 He suggested a key reason is personalized attention to each customer. Haircutting chains are noted for concentrating on rapid turnaround, he said, and you might not have the same stylist twice in a row. The shops tend to maintain a broad-based clientele, as well. After all, everyone will need a haircut sooner or later. D’Ambrosio agreed. “I see just about everybody coming into my shop – from the mayor, the Northampton County district attorney, judge, doctor and executives, to the high school football coach, janitors, teachers, full-time workers and retirees,” he said. At Jimmy’s, “It’s a guy’s place. We don’t set appointments, you just walk in. And if you need to wait a few minutes, you can read the paper, have some coffee, and even get your shoes shined. That used to be a common service, but you don’t see it much anymore,” he said. Ronald Corales, owner of Gentlemen’s Barbershop in Easton creates a little oasis, “Just come in, sit down and relax. I might offer them a bit of free beer or Scotch whisky, play some jazz in the background, just give them a chance to get away from the office for a while,” he said. While barbershop talk can be free-wheeling, sometimes it’s good to draw a few lines. Religion and politics are two topics that can quickly heat up what began as a friendly conversation, but D’Ambrosio takes it a step further: he avoids work-related topics. “If my customer is a doctor, I stay away from medical matters. If I’m working on a lawyer, there’s no legal talk. I want my shop to be a place where they can get away from that stuff for a while,” he said. Don’t presume that an old-school barber can achieve only the Don Draper look. Today’s barbers are trained to provide a wide range of classic and contemporary styles. All of the shop owners I talked to said they offer both clipper- and scissors-cuts. Generally, clippers are great for making hair a uniform length; because they’re adjustable, you’re able to choose the length (or lengths) you want. And they’re the tool-of-choice for the popular “fade” cuts, as well as for cutting decorative lines. Scissors allow shaping, resulting in a more-natural look. D’Ambrosio also offers razor cuts, particularly on long hair, to impart special looks. And if your daily ritual is limited to a few quick swipes with a drugstore blade, a barbershop shave can be a real treat. Corales walked me through one of his typical hot shaves. “After getting my customer settled into the chair, I rub in some pre-shave oil, going with and against the grain of the whiskers; it lubricates the skin and helps to open the pores. I then apply hot lather with a badger brush and apply a hot towel while I prepare my tools,” he said. In an earlier time, that would have included stropping the blade – whisking it along a leather strap to improve the razor’s edge. But today’s health codes require the use of disposable straight razors, he explained. “Next, I apply more hot lather to his face and shave with the grain; then I repeat those steps, but going against the grain. That’s followed by a cold towel to close the pores, a splash of after-shave lotion or shaving balm, and we’re done,” he concluded. And that is an experience you can’t get at a chain shop! 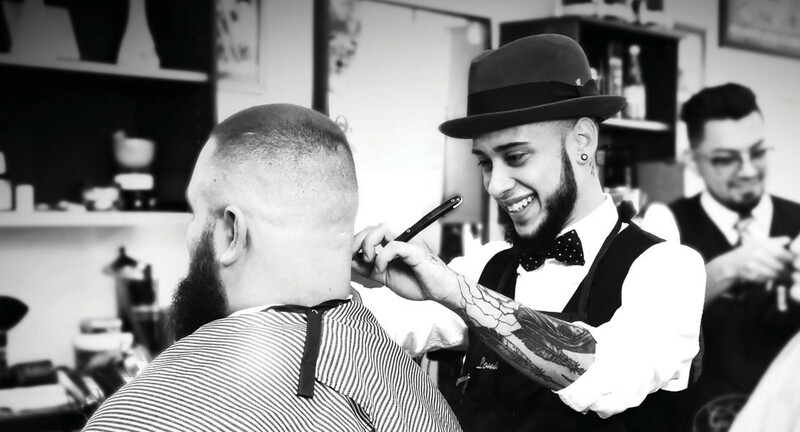 Whether you’re looking for a classic haircut, a tight fade or the lumbersexual look, today’s barbers have the training and experience to make you look your best. 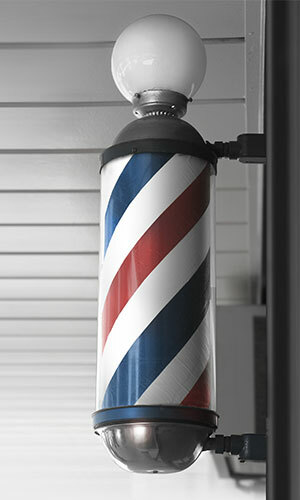 WHY DO BARBER POLES HAVE RED-WHITE-AND-BLUE STRIPES? Long, long ago, barbers didn’t just cut hair and give shaves. No, they were known as barber-surgeons, and actually carried out bloodletting procedures (once thought to be a cure-all for everything from sore throats to plague), tooth extractions, setting bones and treating wounds. According to legend, the red stripe represents bloodletting, and the white stripe represents medical bandages that were applied after such a procedure. The pole itself is said to symbolize the stick those poor patients squeezed to improve blood flow. 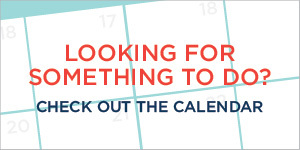 The blue stripe? That seems to be an American addition. One school of thought is that it represents human veins (and red, the arteries); another suggests that it was added simply to echo the colors of the American flag.